Published on Monday, August 12, 2013. 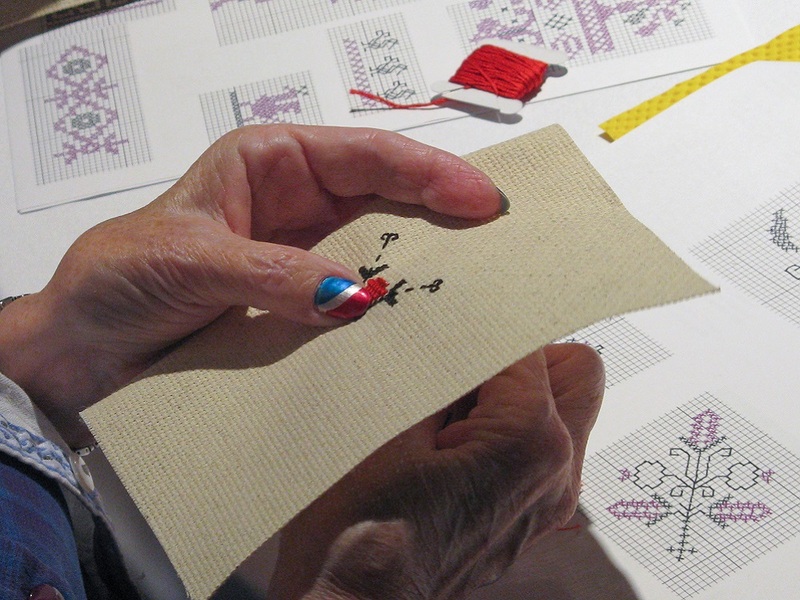 Learn how to make an embroidered star ornament at the December 12 holiday Salon, co-presented by the Textile Center. If you thought we were going to rest on our laurels after a successful spring season of the Salon Series, then think again! We were so jazzed by the high attendance, audience interactions, and great ideas that came from the spring events that we knew we had to try to outdo our previous efforts. We have an engaging and varied lineup of salons coming up that are sure to please craft enthusiasts. 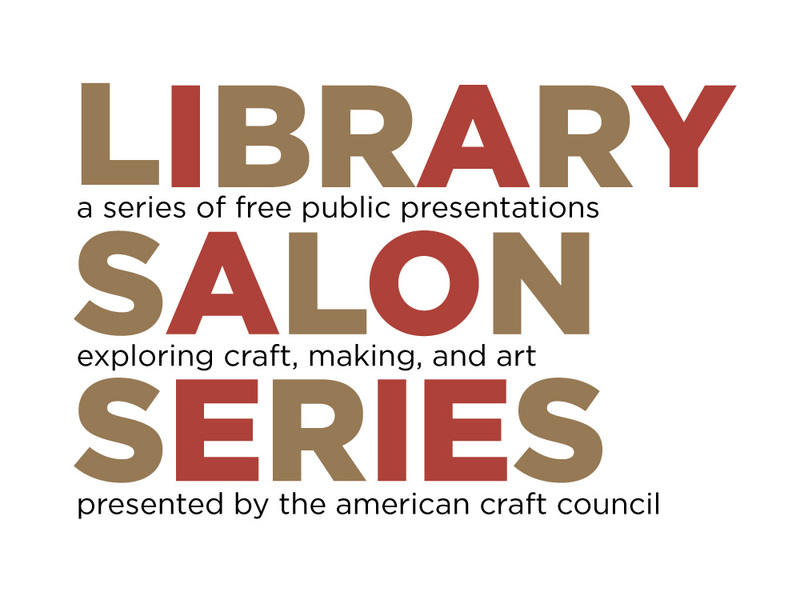 All events begin at 7 p.m. at the American Craft Council Library in Minneapolis, and they are free and open to the public. Follow us on Facebook for further event details and updates as they're announced. 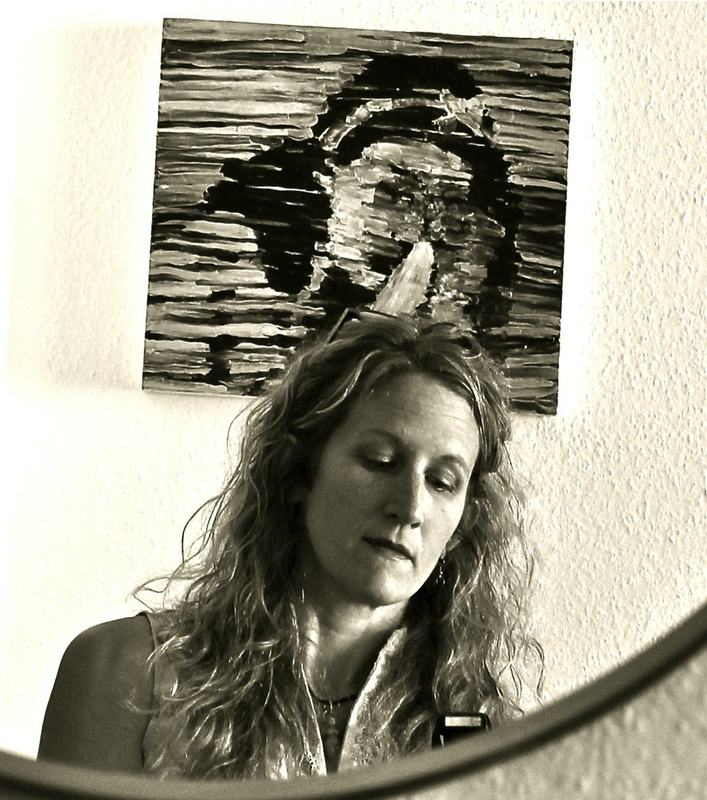 Join us for a presentation by poet and writer Sarah Fox, who will be talking about her research and residency at the ACC Library. Sarah joined the ACC for six weeks as part of Coffee House Press’ new Writers and Readers Library Residency Program, which allows authors to spend time working in distinguished collections and to develop projects that would appeal to the public and transform libraries into dynamic, creative spaces. For her presentation, Sarah will be in discussion with ACC Librarian Jessica Shaykett, talking about her discoveries and opinions of the library collections. Audience members will then participate in a craft project developed by Sarah and head outdoors for a reception. Forget Portland, Minneapolis is the number one bicycling city in the United States, and we have the homegrown, custom-bicycle building community to go with our place on top of the podium. Combining poetry and engineering, the design and welding of custom bicycles is riding high on the resurgence of interest in domestic manufacture and personal customization, and the work of Erik Noren of Peacock Groove Cycles is among the most innovative and distinctive in the field of American bicycles. Join ACC's director of education Perry Price in conversation with Minneapolis’ most infamous bike frame builder for a look at the work of this genre-defying craftsman. Context and location greatly influence the interpretation of a work. If an object is on a pedestal in a museum, next to a gavel and podium in an auction house, in a booth at a national craft show, or sitting next to your couch on a side table, it will be interpreted in multiple ways even though it’s the same object. You the viewer can shape the meaning of art depending on where you see it, how you use it, and your familiarity with it. Co-presented with the Northern Clay Center, this “Looking and Learning” Salon brings together internationally acclaimed ceramist Randy Johnston and publishing designer Mary K. Baumann to show ceramic works from their collections and offer some words on where they acquired the objects, their use, and what they do and do not like about them. Following the presentation, the audience will have a chance to get up close and personal with Johnston's and Baumann’s pieces and to share stories about relationships that have developed with their own collected works. Dust off your lederhosen and clean out your boots as we celebrate the renaissance of brewing in Minnesota and accompanying drinkware at our November Salon. We are pleased to welcome the team from Fulton Brewing Company, who will be sharing their memories on the development of their brewery and the surge of interest in craft brewing in Minnesota (as well as sharing a few samples of their product). What good is a fine beer without a great glass? Joining Fulton for the evening are several glass artists from Foci – Minnesota Center for Glass Arts, who will talk about the history of glass drinkware across cultures. The artists will also be making some extraordinary examples of classic drinking glasses for the evening, with the audience voting on a fan favorite. The Textile Center and the American Craft Council are joining forces for a special holiday edition of the Salon Series. Stars are a traditional textile motif throughout the world, and the use of stars is widespread in holiday traditions and decoration. Here you can embroider a holiday ornament using your choice of traditional star designs from several northern European countries and learn the embroidery stitches that tie the textile traditions of these cultures together. Fiber artist and instructor Lynn Cooper, as well as Textile Center staff members, will be present to discuss the history and cultural significance of the star patterns, motifs, and colors, and to assist the audience in their own embroidering projects. All attendees will be given a packet that has the instructions and materials necessary to complete a hand-crafted fiber holiday ornament. Enjoy some holiday treats, learn about craft traditions, and take home an ornament handmade by you! The team from Fulton Brewing Company will be in the ACC Library on November 14 to talk about the explosion of craft brewing in Minnesota. 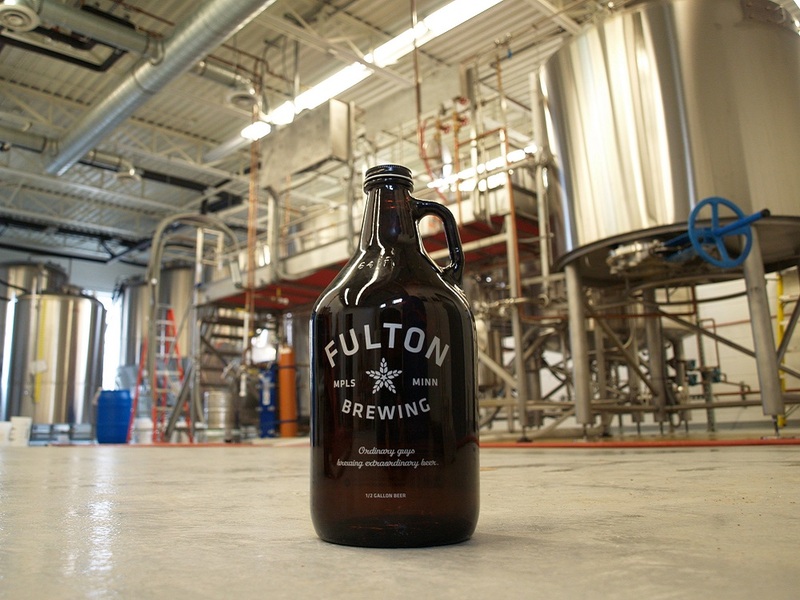 Photo courtesy of Fulton Brewing Company. 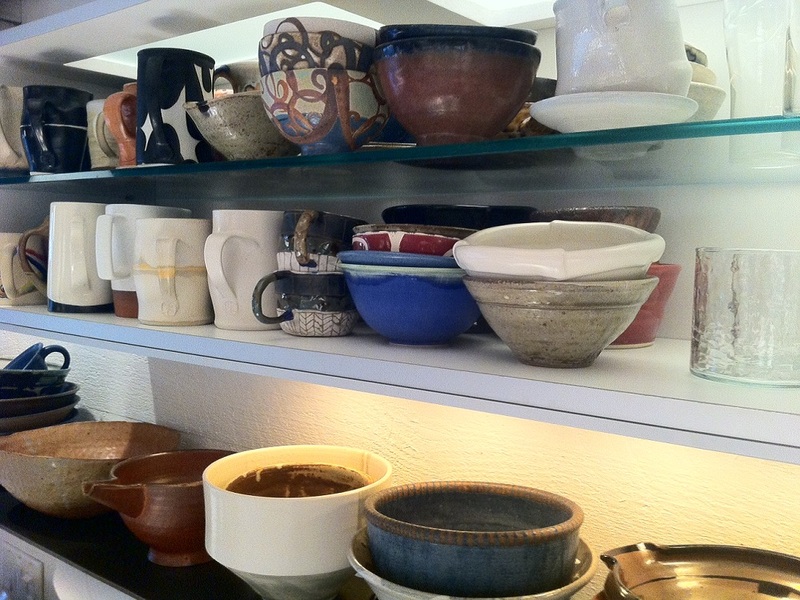 Ceramics from Mary K. Baumann's collection, some of which will be on view during the October 24 "Looking and Learning" Salon, co-presented by the Northern Clay Center.